William J. Vohsing | Tellone Financial Services, Inc.
William Vohsing joined Tellone Financial Services, Inc. in the summer of 2001. He graduated with his liberal arts degree from St. John’s College and brings to the office 20 plus years of managerial and administrative experience. 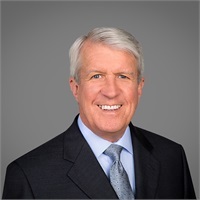 Bill has completed his studies in financial planning at CSU Fullerton and is presently serving in the capacity of Senior Portfolio Administrator.